No one enjoys tax season and when you run a business, this season can quickly become a hectic blur of days. The key to handling your company’s taxes is to streamline processes and come up with faster methods for getting work done. From filing 1099s to finalizing every detail with the IRS, you need to work efficiently to ensure every deadline is met and no numbers were missed. For many small business owners, the burden of tax season falls squarely on their shoulders. If that’s the case for you, check out these five time saving tips for your business during the upcoming tax season. As a business owner, your life is busy and you probably have far too much on your plate to get done every day. Rather than stressing yourself out further during tax season, attempting to juggle your normal work alongside tax duties, work on delegating more. This is a great time of year to focus on finding your key team players and providing them with some of your burden. The more you can delegate smaller tasks that don’t really require you, the more time you will have to dedicate to your taxes. While it can be hard to let go of things, it is wiser to hand off a few projects than to attempt to do it all. When you overwork yourself, it is easy to make more mistakes and to miss important tax deadlines. Turn your focus to where it needs to be and pass off some of your daily tasks. Do you have some projects on your plate that aren’t time sensitive? Push back any tasks like these that you can until after you are finished with filing taxes. Tax forms come with deadlines, which means they need to take top priority over other projects. Pushing back a few projects can free up your current schedule. This will allow you to dedicate the time you need to submitting tax forms on time. This will save you money in the long run as you will avoid costly tax fees and penalties. Tackling all your taxes in one day can be a bit overwhelming. Instead of staying at work for 15 hours straight attempting to get all your paperwork done at once, dedicate a chunk of time each day to the project. If you are at your best in the mornings, schedule yourself as busy for the first four hours of the day until you finish your taxes. By approaching your taxes in chunks, you can save yourself from becoming completely exhausted by the process. If you run into questions while you are filing your taxes and you are completely puzzled by a specific form, don’t hesitate to reach out for help. Talk to your accountant and be certain that you clearly understand applicable federal and local tax laws. This will save you from making costly mistakes and can ensure that you don’t lose sleep worrying about a form you didn’t understand. One of the most time-consuming projects in regards to taxes is filing 1099s. In the past, you had to purchase an array of lenghty forms, fill them out by hand, mail the appropriate document to recipients, and file with the IRS via snail mail. However, this process can be simplified by utilizing online e-filing for 1099s. This allows you to fill out the forms quickly and cuts out the long process of mailing forms by hand. If you are interested in making the process of filing 1099s faster and easier, we invite you to sign up today for OnlineFileTaxes.com. You can quickly fill out any number of 1099s through our easy-to-use platform. The 1099s will be mailed out to the necessary recipients and you can also e-file with the IRS. Make this tax season a little easier on you and your staff by utilizing our simple process for 1099 filing. We look forward to helping you get your taxes done on time and with as little stress as possible. This entry was posted in File 1099 and tagged 1099 misc online, 1099 online, 1099 preparation, copy of 1099 form, efile 1099 forms, efile 1099 misc, file form 1099 online, where to buy 1099 forms, where to file 1099 misc on January 4, 2019 by OFT. When it comes to filing 1099s, there are a lot of key things to keep in mind. You need to have all of your information in order to ensure that you don’t miss a single one. For some companies, this means filing a handful of 1099s. For other businesses, you could be looking at hundreds upon hundreds of 1099s. Whatever the case, it is important that you have a clear understanding of what is expected of you by the IRS. Failing to file things correctly could lead to fines and penalties for your company. At OnlineFileTaxes.com, we make the process of filing 1099s simple. We work hard to ensure that customers who utilize our online platform have a clear and realistic understanding of what is expected of them. Before you get to work putting together the list of 1099s you need to file, check out the following myths about 1099s and be sure you don’t fall for any of them during the upcoming tax season. When it comes to filing a 1099, it is reserved for specific cases. Generally speaking, a 1099 is used to report income that was paid to an independent contractor over the amount of $600 in a given tax year. There are other scenarios in which a 1099 must be filed, but the bulk of 1099s revolve around the use of contracted labor. The goal of a 1099 is to report to the IRS money that was made by a contractor who is not your full-time employee. This person will then use the 1099 you send them to file their own taxes. They will be required to pay taxes on this income as an independent contractor. A good example of this would be if you hired a freelance writer for a project this past year. The money you paid them if it totals over $600, will need to be reported to the IRS. However, if you paid money out to a corporation that you hired for a job, things are different. Corporations do not require 1099s unless you hired the help of an attorney. When in doubt about whether or not the labor you hired was from an independent contractor or a corporation, simply ask. It is better to be certain than to guess. Another misconception surrounding 1099s is the idea that it really won’t matter if you skip these forms. It is never a good idea to neglect to report information to the IRS. If you think there is a possibility that you should be filing 1099s, then odds are good you should. Err on the side of caution rather than skipping this task. You might enjoy filing 1099s, but if the IRS finds out you were hiring contractors and not declaring this income that they earned, you could wind up paying out a lot in fines and fees. Another myth around 1099s is the idea that once you send a 1099 to the appropriate recipient, you are done. While this is a vital step and the deadline for doing so falls earlier than the date for filing taxes with the IRS, this isn’t the only thing you must do. You also need to file the 1099 with the IRS. The reason why you have to both send a 1099 to the appropriate recipient, as well as file with the IRS, is because they want to have a detailed report of what contractors should be paying them taxes. They use this information to ensure that the person you sent the 1099 to is actually following through with filing their own taxes. There are a slew of deadlines you need to meet when it comes to filing your business’ taxes. 1099s all come with their own set of deadlines as well. There are deadlines for the date by which you need to have mailed the 1099 out to the appropriate recipient and there are also deadlines for filing the 1099s with the IRS. It is a common misconception that missing these deadlines isn’t a big deal. Many businesses falsely assume that they won’t suffer a penalty for missing the deadline of mailing out their 1099s to recipients. The reality is that the IRS will penalize you with fines if you miss either deadline. Be sure you start early on filing your 1099s to prevent a costly mistake. Once upon a time, the only way to file 1099s was to purchase lengthy forms, fill them out by hand, mail them by hand, and file with the IRS via snail mail as well. Today, things are different. Gone are the days of tedious handwritten forms. You can now file 1099s through an online platform, saving time and money. Not only can you handle filling the forms out online, but you can then automatically send the recipient their 1099 via email and mail. From here, you can then submit your 1099s to the IRS through e-filing. Save time and sign up for OnlineFileTaxes.com today to e-file your 1099s with ease. This entry was posted in File 1099 and tagged 1099 misc online, 1099 online, 1099 preparation, copy of 1099 form, efile 1099 forms, efile 1099 misc, file form 1099 online, where to buy 1099 forms, where to file 1099 misc on December 27, 2018 by OFT. Tax season is a dreaded time of year for most. If you are a business owner, tax season is even more of a nightmare. During this hectic season, it is easy to feel like you are losing your grip on sanity as forms stack up on your desk and your todo list lengthens beyond belief. The key to successfully filing all your taxes on time and avoiding any major penalties is to streamline and stick to organization. One major bane to any business owner’s existence are 1099s. These little forms can creep up on you and before you know, you have dozens, if not hundreds, of 1099s to file. 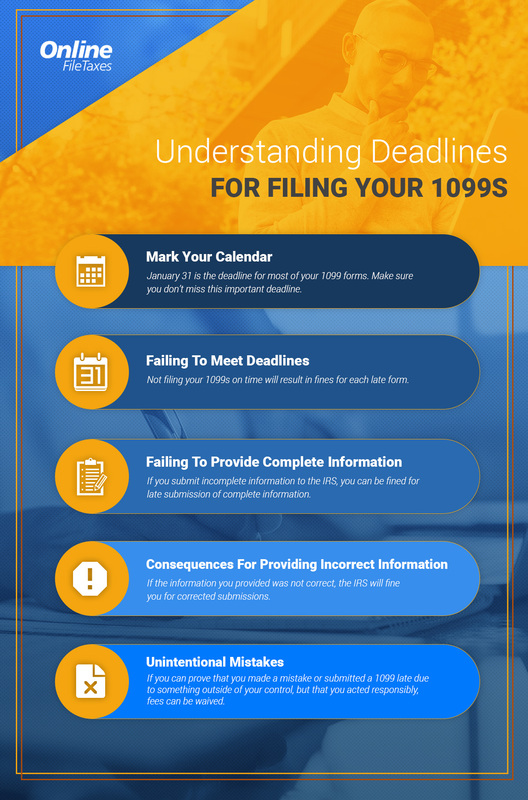 Before you lose your mind, check out the following tips on how you can survive filing all your 1099s and, remember, we make it simple to file 1099s through our online platform. A surefire way to make the upcoming tax season a stressful disaster is to procrastinate the work that needs to be done. 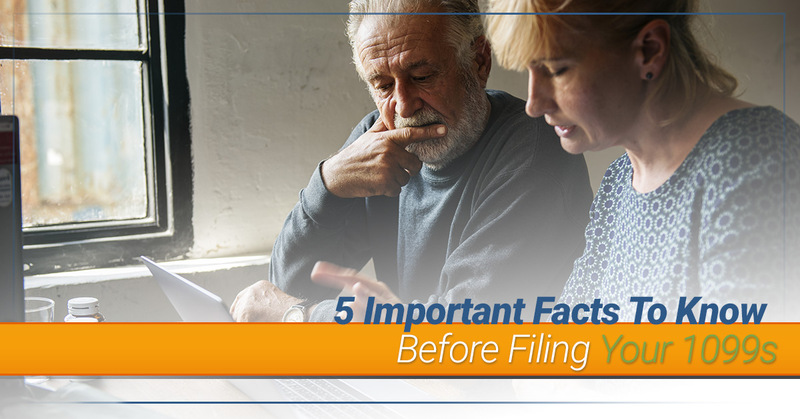 Different tax forms have different deadlines and if you don’t get to work now, you will fall far behind and you might miss out on important dates. You can also utilize the government’s online tax calendar to ensure you don’t miss any important deadlines. Spend some time going over each deadline, highlighting ones that are pertinent to you and creating reminders for yourself that will alert you before the deadline arrives. On a scale of 1 to 10, how highly would you rate your organizational skills? If you are lacking in the area of keeping things organized, tax season will quickly spiral out of control. You will need to keep track of an array of information. From receipts to invoices to 1099 forms to a wide variety of vital documents, everything needs to be carefully organized to keep the process simple and to ensure you don’t make any mistakes. If you struggle with organization, consider hiring a seasonal employee to help out. Find an administrative assistant who can work with you on the project and keep things in perfect order. The better organized you are, the faster the process will go and the fewer obstacles you will encounter. How familiar are you with local and federal tax laws? 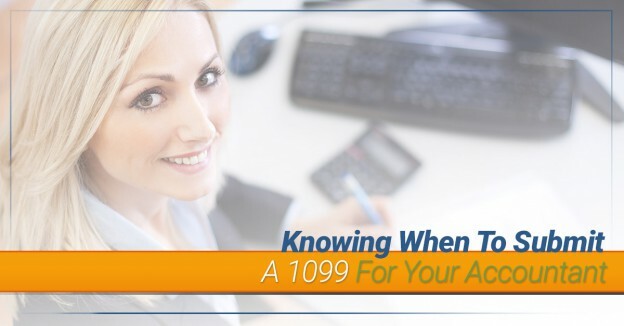 Do you know when you need to file a 1099 and when you don’t? If you aren’t 100 percent clear on these important tax regulations, it is time to do some studying. Be sure that you fully understand what is required of your business before you begin. Nothing is worse than realizing down the road that you failed to file your taxes properly and you are now facing massive fines or penalties. If you feel overwhelmed by tax laws and you aren’t quite certain what specifically you need to file, reach out to an accountant for help. The more educated you are about how taxation for your business works the greater chance there is that you won’t miss anything. The good news is that the days of filling out paperwork manually and mailing every form in by hand are gone. Utilize e-filing to save yourself time. This is particularly helpful in the case of filing your 1099s. Switching to an online platform allows you to cut down on administration costs and makes the entire process more efficient. As you utilize e-filing, you can start to convert a lot of your tax documents over to electronic forms. You can even scan important receipts and documents into your computer for safe keeping. Gravitating towards organizing all your files electronically can help cut down on the copious amounts of paperwork you find yourself buried in. Electronic organization also makes it far easier to find something you need when you need it. Here at OnlineFileTaxes.com, we are an IRS approved e-file provider. Our easy-to-use platform allows you to process any number of 1099 forms quickly and economically. You will no longer need to purchase and fill out lengthy forms by hand, nor will you need to invest in costly software. Instead, you can quickly file 1099s, ensuring that recipients receive their copies on time. Not only that, but you can file with the IRS through our online platform as well. If you are interested in learning more about how our platform works, we invite you to reach out today. We will be happy to assist you in getting started. Choose the easy and fast method for filing your 1099s. This entry was posted in File 1099 and tagged 1099 misc online, 1099 online, 1099 preparation, copy of 1099 form, efile 1099 forms, efile 1099 misc, file form 1099 online, where to buy 1099 forms, where to file 1099 misc on December 21, 2018 by OFT. No one enjoys filing tax forms, but for a business owner, this task is a must. While procrastination can happen to the best of us, failing to file your 1099s in a timely manner can be a costly mistake. If you are facing down tax season and you aren’t sure what deadlines you need to meet or what happens if you miss them, we are here to help. Our goal is to make filing 1099s a simple and fast process so that you never have to face the dilemma of missed deadlines. Read on to learn more about what deadlines you need to meet and what will happen if you do not get your paperwork in on time. One of the most important deadlines for you to keep in mind in regards to filing 1099s is January 31. This is the date by which most of your forms will be due. Not only is it vital that you have submitted and filed these forms with the IRS by January 31, but this will also help ensure that recipients receive their copies by the proper date as well. While it may feel like an overwhelming task, procrastinating filing your 1099s is a disastrous choice with hefty consequences. Be sure that you clearly understand all relevant deadlines and that you start the process early. You can begin filling out all the information in December to prevent missed deadlines. There are multiple reasons why you might wind up being penalized by the IRS in regards to your 1099s. If you miss the January deadline, you will be hit with fines for every late 1099 form. This can quickly add up if you have hundreds of 1099s to submit, which is why handling it in a timely manner is vital. Another reason you might be penalized is for not providing adequate information to the IRS. Make sure that you fill out the forms completely and that you do not skip over any vital information. Missed information can also lead to hefty fines. Finally, you can be penalized for filing 1099s with incorrect information. Any corrections you need to submit after the January deadline will cost you in fines and fees. Learn more about the specific penalties you might be subject to on our Penalties for 1099s page. While submitting your forms late, incomplete, or with incorrect information can all be the cause for major fines from the IRS, there are situations where you can get out of these fines. In the case where you had a viable reason for messing up the forms or submitting them late, you can get the fees waived. In order to do this, you will need to document your reasoning and submit it to the IRS. You will need to prove to the IRS that your mistake was due to a reasonable cause, not because of your own negligence. Unfortunately, forgetfulness or procrastination will not be enough cause for the fees to be waived. You will have to convince the IRS that you did your due diligence but that something outside of your control prevented you from submitting the correct information on time. If you have missed the deadline for filing 1099s, the best thing you can do is take action right away. Submit any missed forms or corrected information immediately. You can then work on submitting information to the IRS in an attempt to prove that this was not due to your negligence. The longer you put off rectifying the situation, the more fines you will be penalized with. 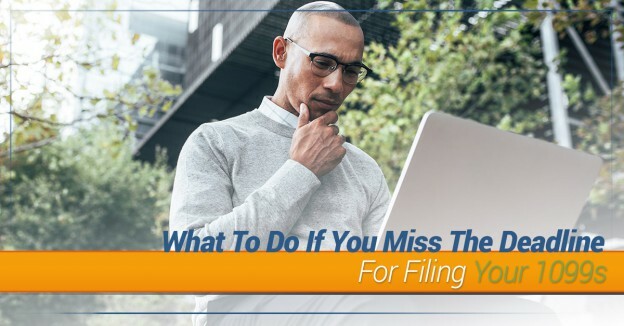 One of the best ways you can prevent the unfortunate mistake of forgetting to file 1099s or filling them out incorrectly is to utilize our simple platform at OnlineFileTaxes.com. We make filing 1099s simple, fast, and affordable. Avoid missing the deadline, sign up for free today. This entry was posted in File 1099 and tagged 1099 misc online, 1099 online, 1099 preparation, copy of 1099 form, efile 1099 forms, efile 1099 misc, file form 1099 online, where to buy 1099 forms, where to file 1099 misc on October 18, 2018 by OFT. When it comes to filing 1099s, you probably don’t relish the process. However, filing all your 1099s will be critical for your business. Failing to do so can result in fines and a big headache. If you are in the throes of 1099s preparation, we are here to help. Our easy online platform makes filing 1099s much simpler than ever before. 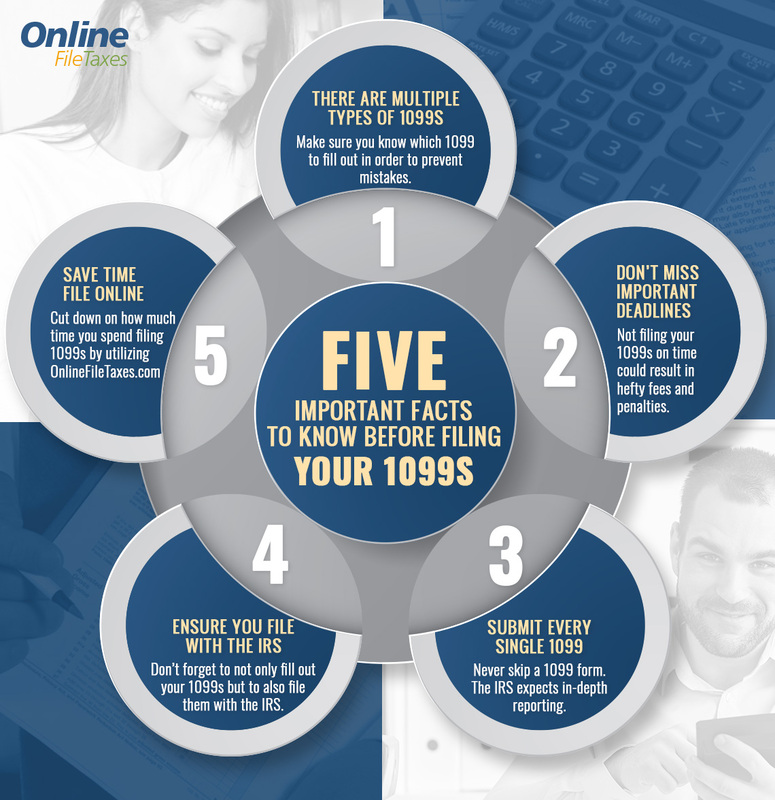 As you get ready to work on this project, check out the following five important facts that will help you file your 1099s like a pro. 1099-MISC: the most commonly used 1099, this form reports commission paid to a freelancer or contractor who is not your employee. 1099-DIV: this tax form reports dividends and distributions paid to a person. 1099-INT: utilize this form when you pay someone more than $600 in interest. 1099-B: file this form to document proceeds from broker and barter exchange transactions. 1099-C: in the case of a cancellation of debt equally more than $600, this form will be utilized. 1099-S: this tax form will be used to report process from real estate transactions. As you can see, there are a variety of 1099s that you might need to fill out during tax season. Be sure you are clear on exactly which 1099s you are required to file and ensure you handle the process in a timely manner. When it comes to filing 1099s, one of the most important factors is your timing. There are strict deadlines that you need to meet in order to avoid penalties. File all appropriate 1099s by January 31, ensuring you provide documentation to both the IRS and the party in question. If you fail to meet the deadlines outlined by the IRS, you can face severe penalties. The more 1099s you have to file, the costlier procrastination will become. Not only will the IRS penalize you for being late, but you can also cause frustration to those who need to receive their 1099s prior to filing their own taxes. It can feel overwhelming when you stare down the pile of tax forms you need to fill out. Due to the variety of 1099s, it can be tempting to just skip ones you are uncertain about. However, not filing the right forms can be a costly mistake. The IRS requires extremely accurate reporting, which means that overdoing it in regards to forms is better than underdoing it. Make sure that if you are in doubt about what 1099s you are required to file you seek the help of an experienced professional. While filing 1099s might not be your favorite activity, it is critical that you don’t skip a single form. Don’t forget, in order for the 1099 process to be complete, the party in question needs a copy and you need to officially file the 1099s with the IRS. Skipping either side of this task could result in penalties, not to mention could be extremely frustrating for contractors and freelancers who depend upon receiving 1099s in order to file their own taxes. Be sure that you handle both filing with the IRS and mailing out copies to the respective parties at the same time to guard against forgetfulness or procrastination. One important fact to keep in mind during the upcoming tax season is that filing 1099s online will save you a massive amount of time. Rather than purchasing 1099s, printing them off, filling them out, and manually filing them with the IRS, you can utilize online e-filing to make the process simple. This entry was posted in File 1099 and tagged 1099 misc online, 1099 online, 1099 preparation, copy of 1099 form, efile 1099 forms, efile 1099 misc, file form 1099 online, where to buy 1099 forms, where to file 1099 misc on October 4, 2018 by OFT. 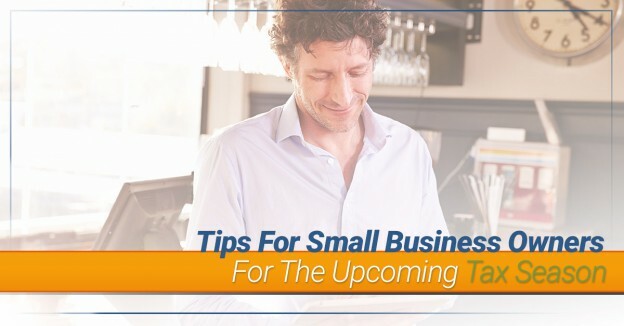 When it comes to filing the right tax forms for your small business, things can quickly become tricky. It is not always easy to know which forms you should file and different classifications of work or services provided will mean different taxations. In the case of contractors and freelancers, filing a 1099 is a must. However, you might need to also file a 1099 for the services provided to you by your accountant. Here at OnlineFileTaxes.com we make filing 1099s for accountants simple and straightforward. Our goal is to alleviate the hassle of filing 1099 forms by allowing you to file the forms online. This makes the entire process simple, fast, and affordable. 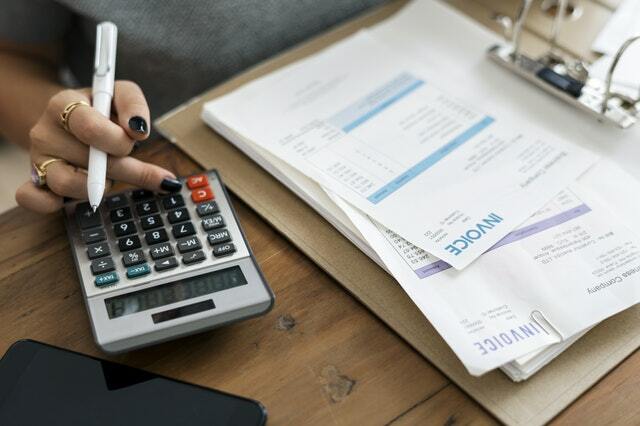 If you are trying to determine whether or not you should submit a 1099 for your accountant, read on to learn more about when it is a must. The first thing you need to determine when trying to decide whether or not to file a 1099 due to services provided by your accountant is how they are classified. If the accountant is part of a corporation, you do not need to file a 1099. However, if the accountant is not part of a corporation, you might need to file a 1099. This includes accountants that are classified as a partnership or are independent contractors. Not sure which is the case? Make sure you speak to your accountant to ascertain the answer long before tax season strikes. 1099s need to be filed prior to January 31st, so understanding this piece of information will be vital to cover all your bases. Reach out and ask how they are classified and then move forward to the next stipulation. 1099s are only necessary when the dollar amount you spent was over $600. If, for example, you only utilized an accountant’s help for the price of $100, you do not need to worry about submitting a 1099. It is also important to note that you only have to calculate the costs for services, not products. If you did spend more than $600 on services and your CPA is not incorporated, then you should file a 1099. Because 1099s are dependent upon a myriad of factors, including the amount of money rendered for services, it is vital that your business keeps pristine records of all transactions. This is why storing receipts and keeping data stored in easily accessible ways will go a long way in helping your tax season go smoothly. If you have determined that you do need to file a 1099 for your accountant, your next step will be figuring out how to do so. The good news is that you can file this 1099 alongside any other 1099s you have to process. This might include 1099s for contractors, freelancers, or other vendors. By doing this all at once, you can save yourself a large amount of time and hassle. The best way to go about filing these forms is to utilize an online service, such as the one found at OnlineFileTaxes.com. This will make the entire process much simpler than doing it the old-fashioned way via mail. You can complete the task in easy steps. Simply sign up, fill out as many 1099s as you need to, and submit them to the IRS. E-filing is fast, simple, and doesn’t require you to remember multiple to-dos. Not only will this allow for quick filing with the IRS, but it will also ensure that the proper 1099s are sent out to your accountant and other respective contractors. Affordable Pricing: Are you overwhelmed by the costs of high-end software or other programs? Then you will benefit from the affordable pricing of our services. We understand that for your business, every penny counts. We want to ensure you don’t waste any money when filing 1099s. Easy System: Not only can software programs become costly fast, many of them are complex and confusing. The same can be said of trying to tackle filing 1099s on your own. With our platform, filing has never been easier. We created a system that anyone can use, without spending hours trying to simply figure the program out. Online Access: Your life is busy and we get that. Our platform is accessible online so that you can tackle filing your 1099s no matter where business takes you. Don’t be trapped at the office any longer than need be. Enjoy the simplicity of an online filing system. Freed Up Time: Let’s face it, you have plenty you would rather be doing than pouring hours of time into lengthy forms. We understand that, which is why we have developed a much faster and more efficient method for filing 1099s. This will allow you to use your free time in a more productive way for your business or to spend time doing the things you love. Accuracy: Do you worry about filling out forms by hand? It is easy to make mistakes or forget to file things when you are surrounded by mounds of paperwork. By utilizing our system, you can improve accuracy and prevent mistakes. Ready to get started? We invite you to sign up today and to reach out to our team with any further questions you might have. Be sure you beat the January 31st deadline by getting everything you need in order for filing your 1099s. Whether you are filing a 1099 for your accountant or you are preparing hundreds of 1099s for various contractors, our system will make the process simple, affordable, and fast. This entry was posted in File 1099 and tagged 1099 for accountants, 1099 misc online, 1099 online, 1099 preparation, copy of 1099 form, efile 1099 forms, efile 1099 misc, file form 1099 online, where to buy 1099 forms, where to file 1099 misc on September 27, 2018 by OFT. If you are running a business and you are looking to prepare important tax documents, you will run across and important question — does the person in question qualify as an employee of your company or a contractor? The difference will be crucial when it comes to how you pay your end of the taxes and what documents you need to file with the IRS. When it comes to hiring a contractor, you will need to file 1099s for contractors. If, however, someone is your employee, the process is entirely different. Here at the Online File Taxes, we make it simple for you to file 1099s for contractors, freelancers, and others. Through our online platform, you can quickly fill out the necessary information, check out, and automatically e-file your 1099s with the IRS. Not only that, but your documents will also be saved in a convenient location where you can access the documents at any time. We also handle sending the 1099s to the appropriate contractors to simplify the process even further for you. Before you decide whether or not you should file a 1099 for a contractor, be sure they do in fact fall under this classification. 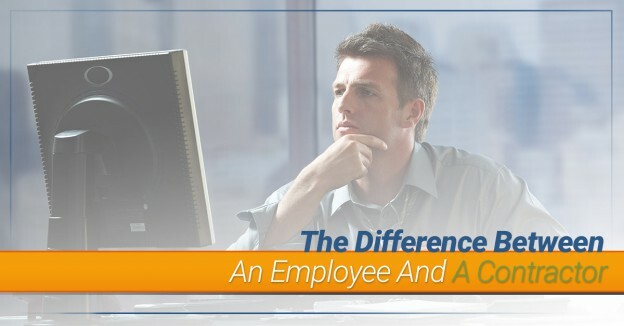 Read on to learn more about the major differences between contractors and employees. The first thing to think about when trying to determine if someone is your employee or simply a contractor is how much you control about their work. A contractor is someone who operates independently of your company and is simply hired for a specific task or time period. As such, you do not control the way they do their job. This includes that you cannot control what the worker does and how they perform their tasks. Depending on the degree of control over these behavioral aspects, a worker will be classified as either a contractor or employee. The more control you retain over someone, the less likely it is that you can classify them as a contractor. Simply put, a contractor has much more independence and operates as if they were their own company outside of your business. Another determining factor between an employee and a contractor is how the financials are handled. There are numerous facets to what falls under this broad umbrella, but the basic idea is whether or not your business handles most of the costs of equipment and other up front investments or the worker does. If the worker is responsible for using their own tools or puts forth a large investment in equipment without reimbursement from your business, they are most likely a contractor. However, when you have an employee, you will be the one responsible for these costs. Along the same vein, a contractor is independent which means they can seek out other work as well. While an employee might be contracted to only work for you, a contractor is allowed — in most cases — to continue to advertise, seek out business opportunities, or maintain a visible business location. Also falling under the umbrella of financials is the way you are paying someone. An employee has a guaranteed wage, whether salary or hourly. They are paid at set intervals and have a constant flow of paychecks. An independent contractor, however, might be paid a flat fee for one project. 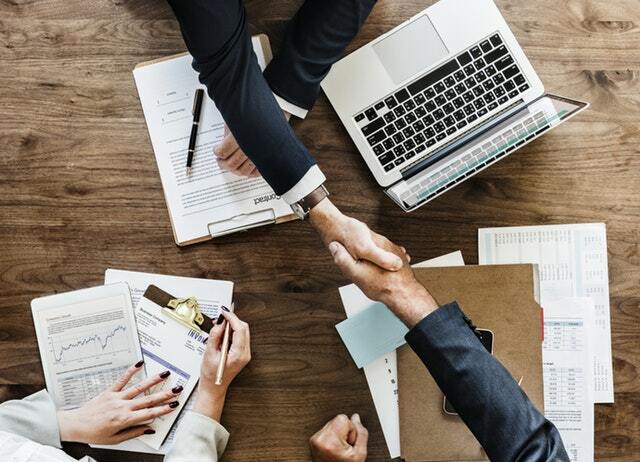 Finally, a large factor in determining whether the worker in question is a contractor or an employee will be found in the type of relationship between them and the business. Do you have a contract that includes employee-type benefits? For example, vacation pay or insurance coverage would be an indicator of an employee status. Conversely, an independent contractor will not receive these types of benefits and there might not be a long-term guarantee of work. All of the above factors play a role in determining whether or not someone is a contractor or an employee of your company. In some cases, the lines may be fuzzy between the two and it can be hard to determine which is true. In these situations, it is wise to fill out a form with the IRS that helps determine the worker status. If you do determine that someone you worked with over the past year was a contractor, you will need to file a 1099 with the IRS. Because taxation is handled differently depending on whether or not someone is your employee or contractor, it is critical that you figure this out early on. A contractor will be responsible for all their own taxes, whereas with an employee, there will be taxes you are required to pay. By filing the proper forms, you can ensure your company is not amiss during tax season. The good news is that through Online File Taxes, you can quickly and simply submit any 1099s for contractors that you need. Whether you have one form to fill out or hundreds, our platform is equipped to make the process as simple as possible. You can easily submit all the information needed, without printing off cumbersome amounts of paperwork. Once you check out, your forms will be e-filed with the IRS. We are an IRS approved provider, so you can rest assured that your 1099s will be filed accurately and quickly. Not only will we file your 1099s with the IRS right away, but we will also mail out the 1099s to the respective contractors. This takes away all the hassle for you and ensures that you get everything completed by the January deadline. The best part of all is that our services are affordable. Try our service out today and streamline the process of filing 1099s for contractors. This entry was posted in File 1099 and tagged 1099 misc online, 1099 online, 1099 preparation, 1099s for contractors, copy of 1099 form, efile 1099 forms, efile 1099 misc, file form 1099 online, where to buy 1099 forms, where to file 1099 misc on September 20, 2018 by OFT. If you are a small business owner, then odds are good you wear a million hats. Operating a small business requires hard work and a lot of focus. From ensuring day-to-day operations are running smoothly to handling big picture items, such as the future goals of your business, it is no easy feat to effectively manage your small business. One big task that many small business owners loathe but is a necessary evil is correctly filing taxes. For small business owners, tax season can be a flurry of activity and can begin to feel downright chaotic. Before tax season is fully upon us, take the time to consider the following tips that will help you prepare. Here at OnlineFileTaxes.com, we make it easy to file 1099s through our online platform. 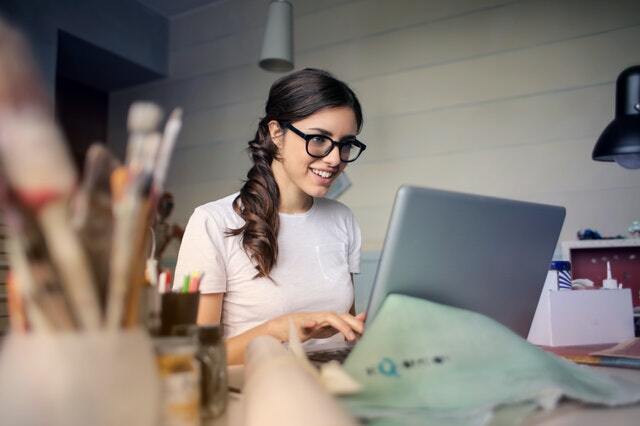 Read on to find out how this, as well as our other tips and tricks, can make your life easier in the 2019 tax season. When it comes to filing taxes, the more organized you are, the better. Make sure that from the start you are keeping everything you will need organized. Do you find yourself simply throwing receipts and paperwork into a pile on your desk? Do you have a filing cabinet that is overflowing with papers that are haphazardly organized? Take the time to straighten out all your paperwork and set in place a system to keep things in order. 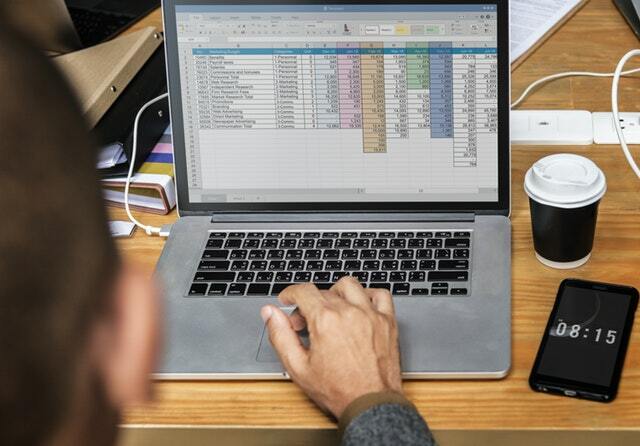 Due to the amount of paperwork you will undoubtedly have as a small business, it is wise to turn as much of your paperwork into digital documents as possible. Storing your information in a digital format will make it easier to stay organized and prevents you from drowning in a sea of papers. Make sure that you keep everything in an order that is simple for you to weed through later. For example, all your receipts should be kept in one location, sorted by date. If you have employed contractors, freelancers, or other non-employee workers, store all their information in one easy-to-access location. Whether you keep hard copies of everything on hand or you store things online, make sure your system is simple and easily navigable. By keeping your paperwork organized throughout the year, you can save yourself from a massive headache when tax season is in full swing. Taxes for small business owners can be a confusing thing. There are a myriad of complexities surrounding what you need to file and what you will owe. If you are not an expert in taxes, take the time to learn more so you are confident that you know your responsibilities come tax season. Reach out to a local CPA to get advice or spend a day researching on your own. Create a list of questions you have or areas of confusion. Dig until you find the answers you need. In many cities, local libraries will offer free tax services where you can meet one-on-one with a tax expert. Bring in a list of questions and find out everything you need to know long before tax season arrives. This will help you better prepare ahead of time and will prevent you from feeling at a complete loss when your taxes are due. By ensuring you understand your responsibilities, you can save yourself time and money in the long run. Filing taxes as a small business owner can feel like an overwhelming task. 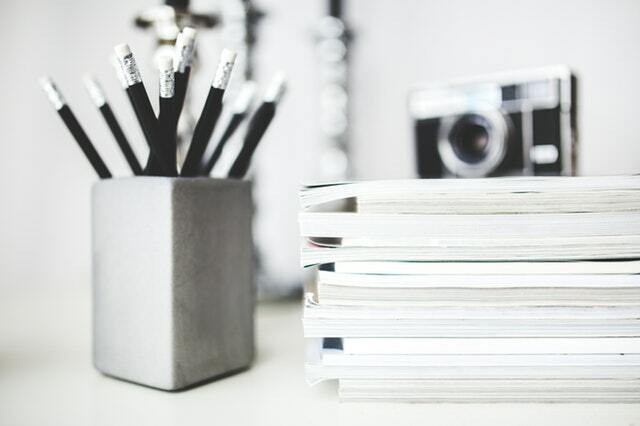 If you are staring at mounds of paperwork in your office and you realize you have a ton of research to do before you are equipped to file your taxes properly, take a deep breath and bite off small pieces of the project at a time. Instead of spending a whole day drowning in receipts, tax forms, and paperwork, block out small chunks of time each day for a week to handle one component of the project. For example, one day you can spend a few hours organizing all your receipts. Another day you might spend doing research on local laws for filing taxes as a small business owner. By tackling the project in steps, the task will be less overwhelming and you will be less frazzled leading to fewer mistakes. The good news is that with the advent of technology, a lot of tasks that were once manual and time-consuming can now be streamlined. If you can improve your efficiency by utilizing online tools, by all means, do so! 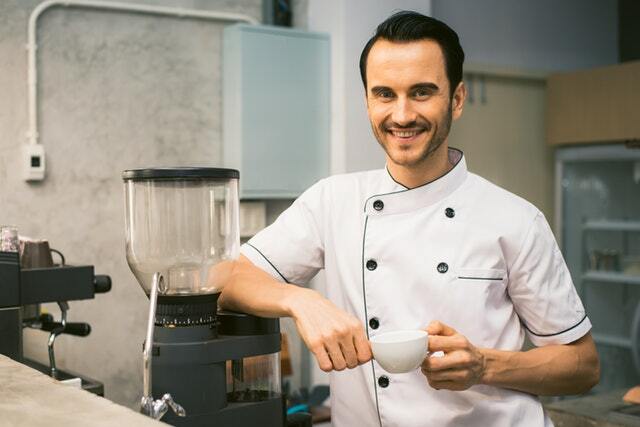 For example, 1099s for small business owners can all be filed online through our service at OnlineFileTaxes.com. Instead of downloading and printing out dozens of 1099s and then manually filing them with the IRS, you can quickly do it all through our online portal. Once you fill out the information online, the 1099s will automatically be filed with the IRS electronically for you. You will receive a copy of the form for your own records, which will be easy to access online at any time. The 1099 will also be automatically mailed out to the appropriate recipient, saving you yet another step. By utilizing efficient technologies, such as OnlineFileTaxes.com, you can save yourself an immense amount of time and hassle. Instead of being buried in paperwork, spending hours upon hours filling out lengthy forms, you can quickly accomplish the task, freeing your time for other important pressing matters. As a small business owner, your time is invaluable, so be sure to implement as many streamlined methods for tax filing as you possibly can. Finally, take the time after you are finished with tax season to assess what could be done better next year. Did you struggle with organization, making it difficult to find the paperwork you needed when it came time to file your taxes? Did you make the mistake of manually filing all your 1099s, creating a headache? Take note of any areas you could improve in and set up a better system for the following year. Interested in making the process of filing 1099s simple? Sign up to utilize OnlineFileTaxes.com today and save yourself time and money. With our easy-to-use platform, you can file all your 1099s in no time at all from the comfort of your computer. This entry was posted in File 1099 and tagged 1099 misc online, 1099 online, 1099 preparation, 1099s for small business owners, copy of 1099 form, efile 1099 forms, efile 1099 misc, file form 1099 online, where to buy 1099 forms, where to file 1099 misc on September 6, 2018 by OFT.